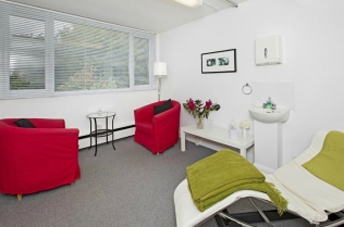 To book a psychotherapy or hypnotherapy appointment, please contact me on: 01363 85130 or 07966 288604. Home visits will be considered if clients are unable to travel. Skype calls can be made by prior arrangement. 24hrs notice is required for cancellations or a fee will be charged. Please contact me for more information about concessionary rates. Close to the city centre and bus and train links. Free 2hr parking is available close to Barrington St in Maple Grove or at Tesco. There is a pay and display car park at the top of Barrington St.
Close to the North Devon Link Road and M5, Junction 27. Close to the link road and bus routes.